Wherever students go around Tech, it is likely they will see signs that Tech students are embracing the connected age. Students holding massive tablets up to their ears in lieu of phones is now commonplace. Even Google Glass adorns the faces of more than just a handful of students. But at Tech, students are not just consuming the fruits of the information age—they are creating new gadgets and software to take advantage of them. Even a quick investigation can unearth several cool apps created by Tech students. 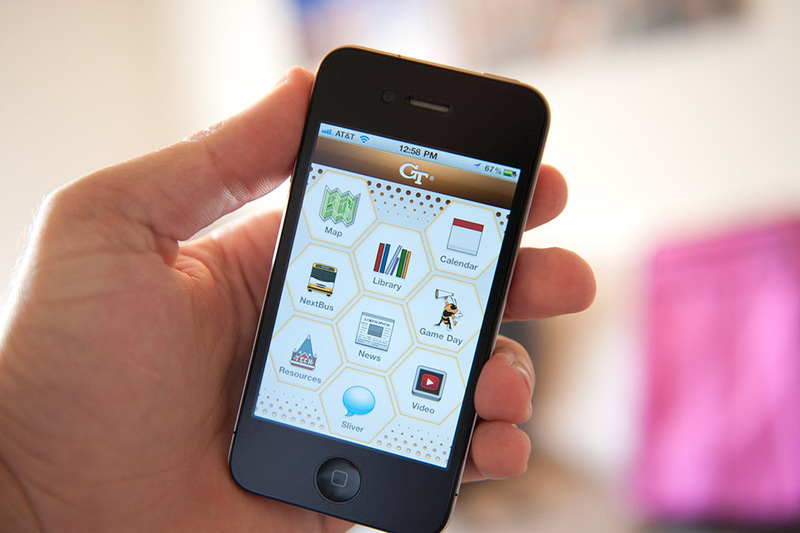 According to Alex Bettadapur, VP of GT Mobile Application Development (MAD) and second-year CS major, one of the many challenges facing app developers today is coming up with a new, fresh idea. While it’s clear that thousands of good ideas have already been taken, at least two groups of student developers at Tech have turned out apps with more “unique” concepts. “Nerdherder,” which lists itself as having been created by the “Augmented Reality Game Studio” at Tech, is actually an augmented reality game with a twist. While some have reviewed it as “buggy” on some devices, the basic concept was present. This can also be seen from the demo videos on “Nerdherders” website. Basically, the player looks into his or her phone just like looking through a window, and controls a “boom” which extends through the screen of the phone just like it would if it existed in the physical world. Instead of prodding at the screen to activate buttons and other features like in real games, the primary control in “Nerdherder” is simply swinging around the boom in the virtual world using a phone’s motion sensors. At the end of the boom hangs a delicious donut with which the player, the deft manager of a corporate office, can manipulate his or her employees, better known as nerds, into their cubicles to maximize the success of their business. Another game made by students, for which fliers have gone up all around the College of Computing, is “MiniVolt,” which also has a unique spin. MiniVolt is set “in the year 2400,” when the player, a human, is tasked with overcoming the machine singularity to restore order and balance to the world. The basic gameplay is to use a variety of controls to take control of “enemy bases,” and the game forces the player to use strategy to optimize their attacks. Bettadapur noted that many apps are made under the auspices of his club, but only a few actually get published. He explained that there was a significant barrier between creating a cool demo and crafting a published app like the two above. “Once you have your idea and you think your idea’s really good, it’s a matter of making it look really good. Which I find hard. You have to design it, you have to make it look, like a good app. If it doesn’t look good, if the animations aren’t smooth, it’s buggy, people aren’t going to use it regardless of how cool your idea is,” Bettadapur said. He explained that the publication barrier did stop people in MAD from making all sorts of cool apps—treasure-hunt apps, podcast apps, an app which lets a phone control an online puppet and an app which displays statistics about a music library. Despite the creative barrier that remains, students can continue to expect unique and innovative apps from their peers.